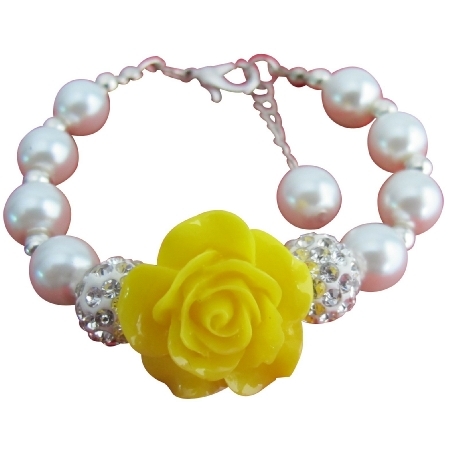 A stunning cluster of shimmering Ivory Pearls Rhinestones Paveball & soft Yellow flower at center beautiful bracelet adds sophisticated & elegant sparkle to your little girl evening wear & a dazzling addition to a her dress. Please note that children under 3 years of age should only wear this bracelet with adult supervision. Age : To make her size.